So Chantilly was instant love for me! Having girls this paper is just perfect! However as you can tell the card on the right is not particularly girly! 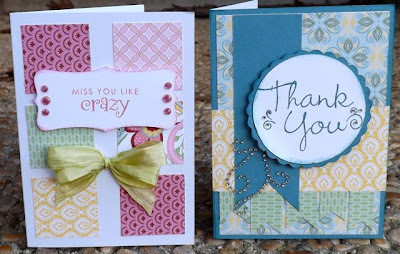 4 My Friend is the stamp set I used on both cards! It is quite versatile and can be used for birthday, thank you, cheer up, miss you, love you and more! I also used the color ready seam binding that starts white and you can easily dye it whatever color you want! 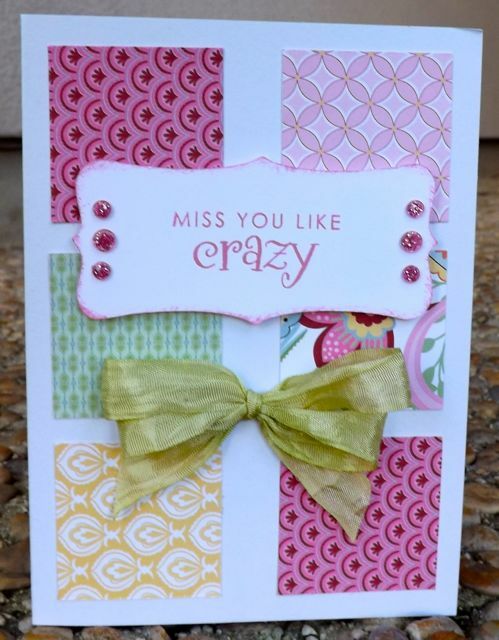 The sentiment shape is cut on the Cricut with Art Philosophy and the cute pink gems are the new Pink Glitter Gems! I absolutely love that this can look so different from the other card! 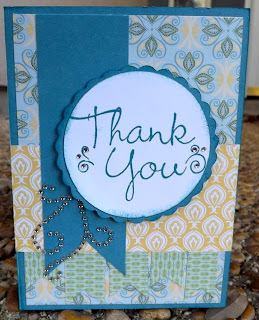 I used bitty sparkles and Sparkles clear flourishes - small (NEW!) I cut the mat and circle for the sentiment on the Cricut using Art Philosophy!